Yesterday’s foray into spherical amigurumi led me to try out something new very quickly. 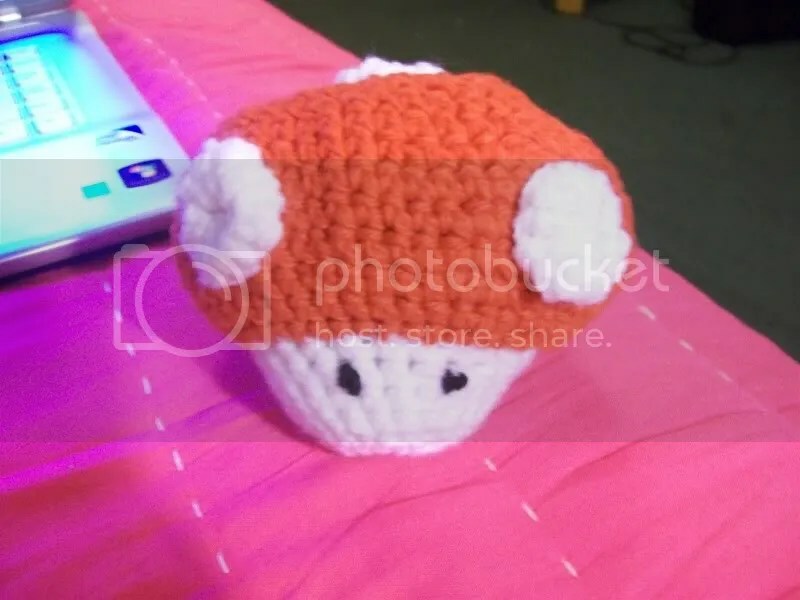 After finishing Winston, I found a pattern online that explained how to make a Mario Power-Up Mushroom, and of course I jumped at the chance to make one. At the moment I only have the one, but I’ll be making a 1UP one after I complete my current project and get my hands on a ton more fiberfill. And here is a sneak peek at the project I started this morning, because I know some people are just too impatient to wait for the final product, especially one so time-consuming and tedious. When I began this morning, I was blissfully unaware of the size the finished product would be, and for that I am now paying. 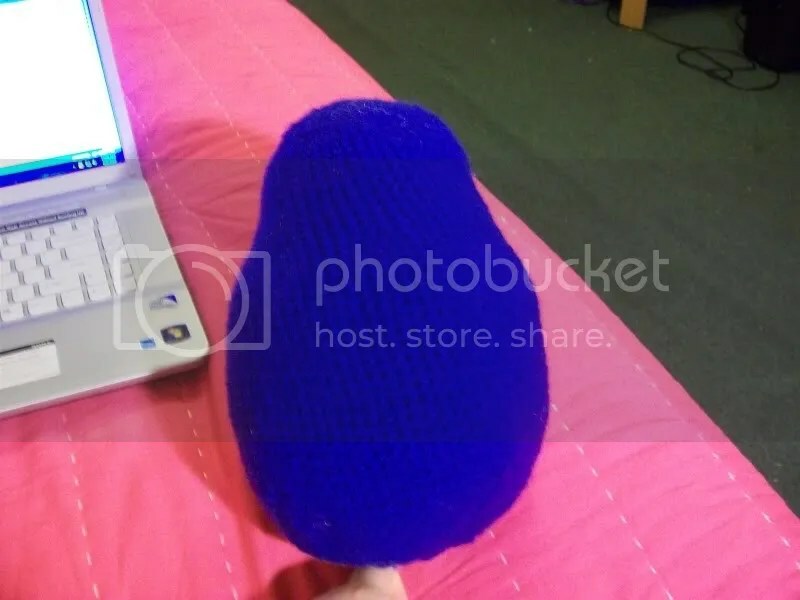 This part alone has used up most of my blue yarn and ALL of my fiberfill *sadface*. As a result, my plans for tomorrow include a trip to my old neighborhood to try to find some Red Heart Super Saver yarn and stuffing. I just hope that if I find what I need, I can get out of the store without spending too much more money and without too many additional bags of yarn and notions and anything else that happens to be in stock.